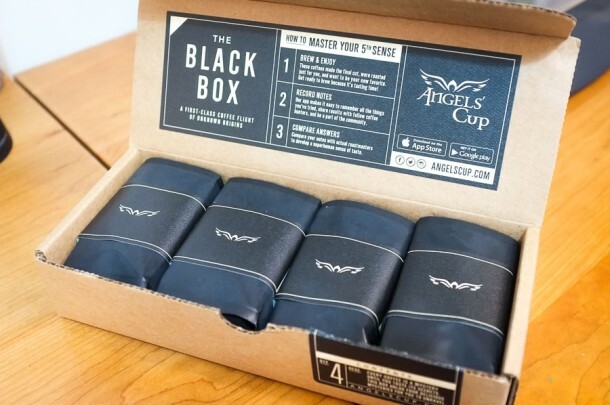 Angels’ Cup – what’s inside the Black Box? 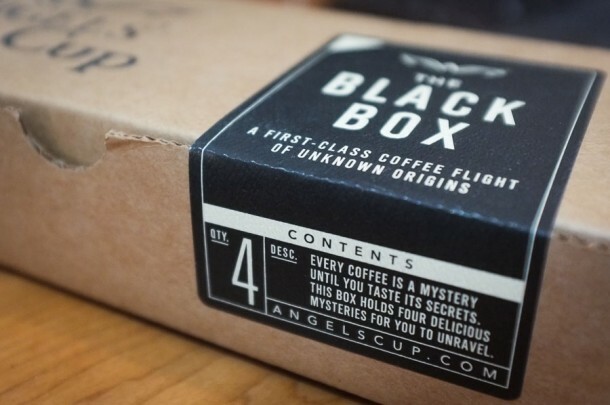 Angels’ Cup’s Black Box ($20/mo – use code yemen25 for 25% off this weekend) is a coffee subscription with several twists. Each box contains four 78g (2.75oz) bags labeled only by a number. 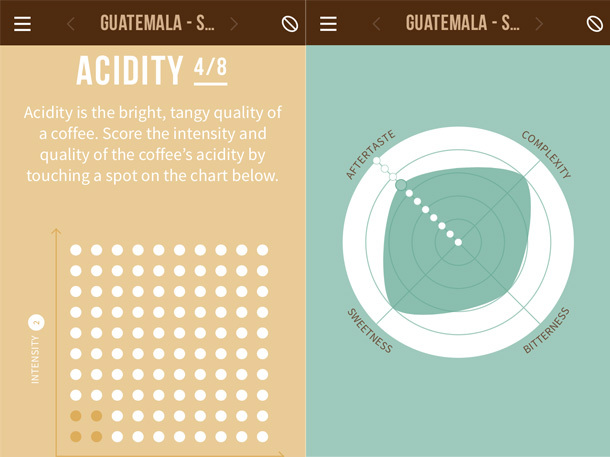 You pick one and enter the number into the Angels’ Cup app, which then guides you through a tasting & scoring process for roast level, aroma, acidity, flavor, and more. Once you’re done, the name and origin of the coffee is revealed, along with the roaster’s own evaluation side-by-side with your own. 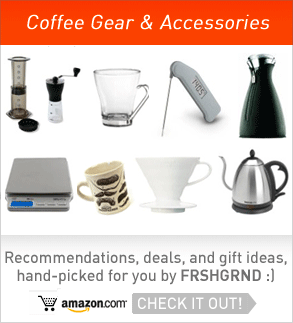 You can see which roasters they partner with here. I have to admit I thought this would be a bit gimmicky, but the app is well thought out and nicely walks you through a focused tasting – it really heightens the experience and challenges you to pay attention to each dimension in isolation. The roaster’s “official” tasting notes validate (or confront you with the limitations of) your palate. But even if your notes are wildly divergent, that’s half the fun – seeing where you agree or differ. In fact, I think the app has untapped potential as an educational tool for geekier coffee drinkers who want to train their palates. For instance, there’s an option to note defects but not much in the way of definitions or context around what they all mean, what causes them, whether they are something you’d realistically expect to encounter (or more likely something you’ve mistakenly detected), etc. If you think you taste a defect, I’d bet most of the roasters who partner would love to use that as a teachable moment rather than emboldening people to start using language they don’t understand. Same goes for all of the tasting steps, though many will be self-explanatory or familiar to anyone who’s invested some time learning about coffee. Speaking of palate education, I’d be interested in an option for surprises with odd coffees, experiments, different kinds of defects, etc. Who knows, maybe the economics would work well enough for some roasters to play ball? All in all, in a crowded market for subscriptions, curated samples, and what have you, Angels’ Cup’s ‘Black Box’ and the app platform that goes with it creates an experience and added value that, to me, seems well worth the price. With more features set to be unveiled soon, I’m really looking forward to seeing how the app evolves in the future! Nice article on an amazing concept. 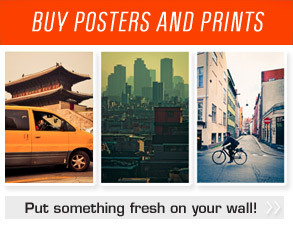 I like how they differentiate in this subscription market. I am also a big fan of the app design, congratulations! The author makes a good point about including more information about origin. 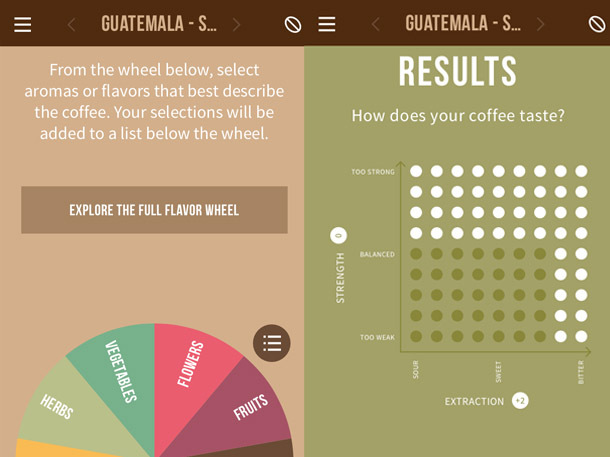 I’d go even further and include producer profiles directly into the app, and this is somewhere our webapp could be helpful, because coffee growers and roasters should know each other.